Spring is in the air. The snow is melting, and as we wrap up the basketball March Madness, the only thing left is opening day of baseball – hot dogs, peanuts and popcorn, the crack of the bat. But the Tigers will be without Jose Iglesias for the ENTIRE 2014 season due to stress fractures in his legs! How can this be? 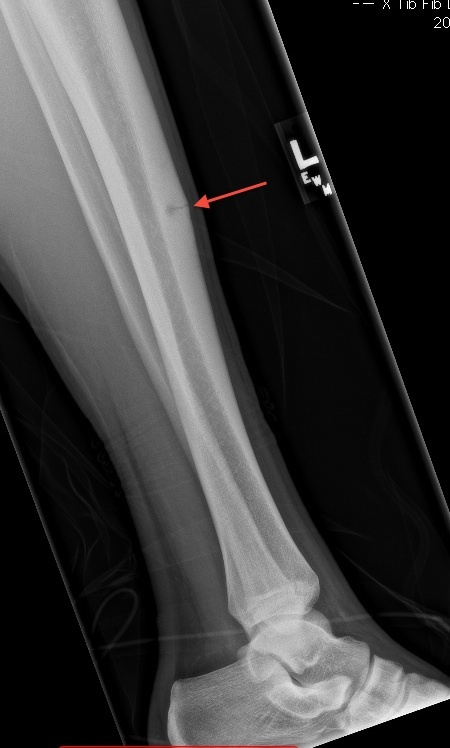 What are stress fractures and are they that bad that he cannot play the entire season? Let’s go back to March 31, 2013, almost one year ago, in the first half on an Elite Eight matchup between Louisville and Duke during the NCAA tournament in Indianapolis, IN. A player by the name of Kevin Ware attempted to block a 3 point shot, landed awkwardly, and broke his shin bone in half on prime time TV. Not only did he break his leg in half, but the bone came protruding out of his skin. Massive traumatic sports injuries like that, after just landing from a jump, are almost always caused by a stress fracture or a stress reaction to the bone. It is as if the bone is “hanging on by a thread” and it just takes that one awkward maneuver for the whole thing to go. This is why Jose Iglesias is benched for the entire season and basically has to do non-weightbearing conditioning (i.e. he can’t put weight on both his legs) for the next 3 – 6 months. Stress fractures are real, stress fractures are dangerous, and stress fractures can lead to devastating injuries. A stress fracture is the last part of a chain of injuries that can happen to a bone. Most of the time, we never reach a stress fracture because the body tells us that it is in pain, so we limit our activities. It is in situations where we do not listen to our body and ignore the pain, that the injury progress down the pathway that leads to a real fracture. Our bones are alive, and even though they don’t look like they do much except support our body, they are constantly being replaced by new bone. When we are very young, that new bone growth adds to our height, but when we stop growing, our bones need to be maintained. There is a constant balance between the body removing old bone and replacing it with new bone. That is why we are better than machines – we can technically heal ourselves with new bone or skin, while machine parts can only wear out. As we place stress on our body, you can think of it as wearing down some bone. That is actually healthy for our bodies, because we put down new bone in response to stress. Hence, we recommend an active lifestyle as one of the preventers of osteoporosis (or brittle bones). But…and this is important…you can do too much damage to the body so that the body can’t keep up with the amount that it has to repair. This is technically the beginning of the chain of events that lead to a stress fracture. The chain of events has many “checkpoints” that our body builds in. There is pain to let us know that we have done too much. There is swelling also to let us know that we have done too much. But if we disregard these clues, bad things can happen. The chain of events is broken down to normal bone, painful bone, stress reaction, and stress fracture. If you ever have a chance to look at an old foundation of a house, you see cracks. The cracks are usually small enough that the house does not collapse. The smaller cracks are the same as a stress reaction on a microscopic level. There are certain situations that the cracks develop into a size where part of the house actually collapses – this is a stress fracture. REST!!! What a stress fracture or even the precursor to a stress fracture is telling us is that the balance between making new bone and taking new bone away is off. The easiest way to correct that balance is rest. Often times, this is the hardest thing for athletes to do, because they are either in season, training in the off-season, or competing in too many sports. I routinely hear the words, “I can’t take any time off because…”, and the excuses are many, ranging from “If I take time off I will lose my position”, “If I take time off I will be kicked off the team”, or “If I take time off I will fall behind the other kids”. But my point of view is that if you do not take time off you can end up with a catastrophic injury like Kevin Ware, where you have your shin bone sticking out of your skin. These injuries are not made up, they are real. Your sporting career is not a sprint, it is a marathon. And from that standpoint, you need to give your body adequate time to heal. Even though Jose Iglesias has stress fractures in both legs, what is he doing? Resting!! One can say that he has already made it in his profession and that as a high school kid there is even more to prove, but if the pain you have is not letting you reach your true potential, then you are not doing your self any favors. Seek out someone who understands athletes and what the pressures are that they face. This is typically a fellowship trained sports medicine physician, such as the ones found at Performance Orthopedics. From there, listen to what they say, because the only thing we want to see is for you to get back in the game, what ever your game may be.